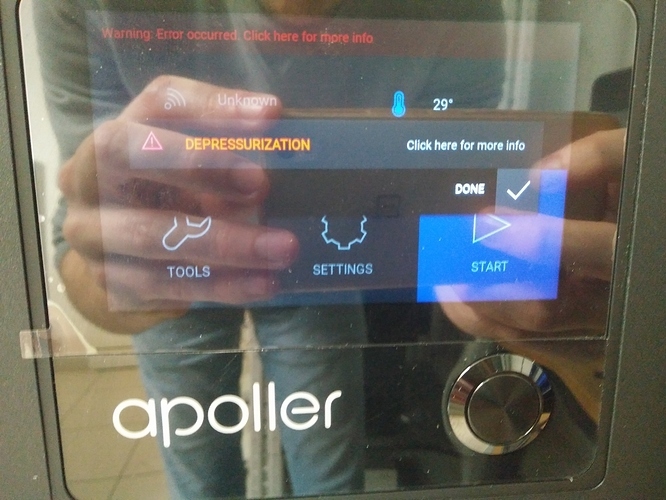 We just bought the Zortrax Apoller in order to improve the surface quality of our products which are print with M200 and M200 plus 3D printer. Unfortunatelly, we already having an issue with. During the first minutes of the process, we experiencing an error occured about depressurization. 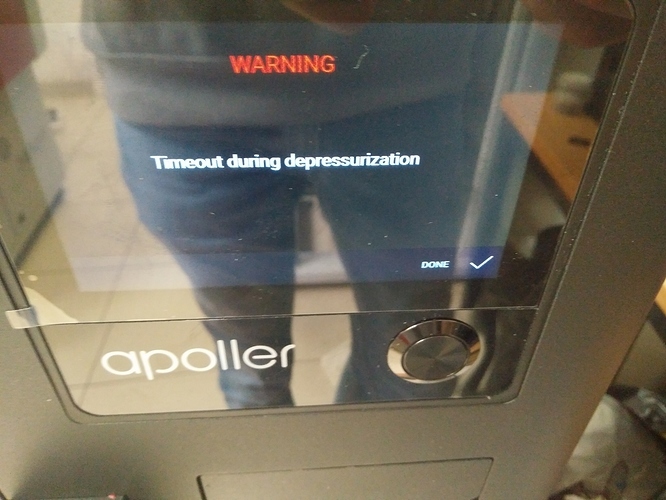 We having a warning message " Timeout during depressurization " . We passed through once and we managed to complete the process but that was the only and last time the process succeed. We would be most grateful if someone could help us with that. Once you start using the unit, would you mind sharing your results on here? I have started already a post about this - I am very interested to compare results with other users, to try different materials, settings and other tricks.